Introduction: Why study Darwin’s letters? Courses about Darwin usually focus on the Origin of Species, widely regarded as one of the most important books ever written in the history of science. Yet as a starting point for understanding Darwin’s theory, how it was constructed, and how it was received by his contemporaries, the Origin of Species is in fact very difficult to use, particularly in isolation from other texts. Its length, the highly compressed nature of its arguments, and its iconic status as a ‘great book’ all make it hard for students to engage with carefully and critically. A more accessible source for teaching students about Darwin is his correspondence. Selections from his letters can be extremely effective when used in conjunction with his published writings, for they have the nature of a conversation, they open avenues onto the private sphere of his life and work, and onto the wider social sphere of collaboration, influence and reception. Darwin used correspondence not only as a medium of communication, but as an instrument of research, an arena of theoretical discussion and debate, and a means of addressing critical and controversial responses to his work. Letters reveal much about the social and material practices of science. They show the process of knowledge making close up, the often messy details, the trials and dead ends, and the unexpected results. They also reveal the wide range of contributors with their different backgrounds, perspectives, and agendas, a rich social world that is often invisible in scientific publications. Selections from Darwin’s correspondence have been arranged in a series of resource modules. These were originally developed for a seminar for final year undergraduates in the Department of History and Philosophy of Science at the University of Cambridge taught by Professor James Secord and Dr Paul White. The resources from the course have been expanded and modified with the aim of providing useful material for undergraduate and post-graduate students in the history and philosophy of science, cultural and social history, literature, women’s studies, and media and communications. The modules contain sets of letters, along with brief introductions to guide students as they read the correspondence. There are also separate pages for discussion questions, potential essay topics, and suggested reading. The aim of the course is to look closely at these letters, both to understand Darwin’s work in its broader social context, and to explore the vital role of communication in science. 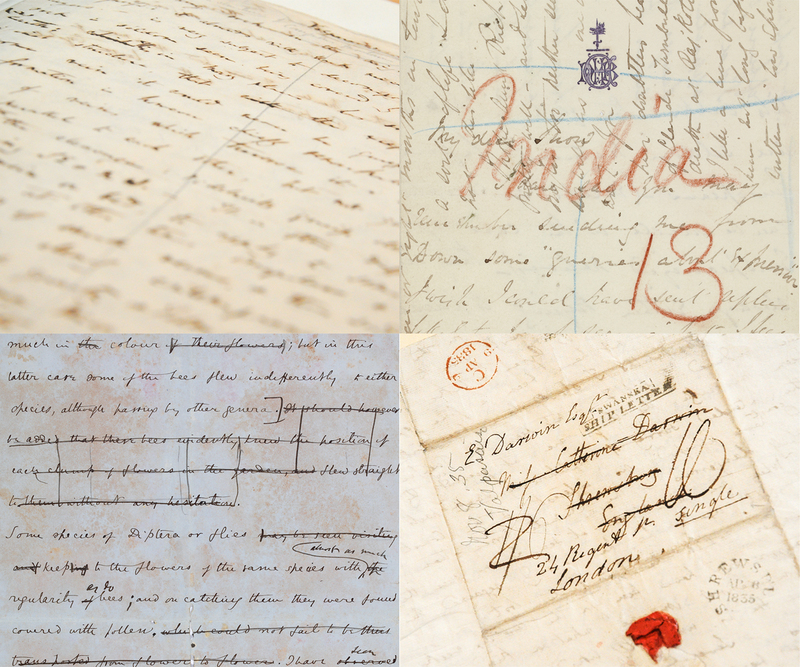 This course teaches students how to engage with primary source material, specifically, how to use letters as evidence in academic research and the myriad of ways in which this can be done. took a more philosophical approach and traced Darwin and his correspondents’ concept of species through his letters.